Bliss-balls make for a great afternoon treat. Well, they’re a great treat at any time of the day really, but it’s often the afternoon that some find themselves falling victim to the closest thing at hand because they’re lacking in energy. 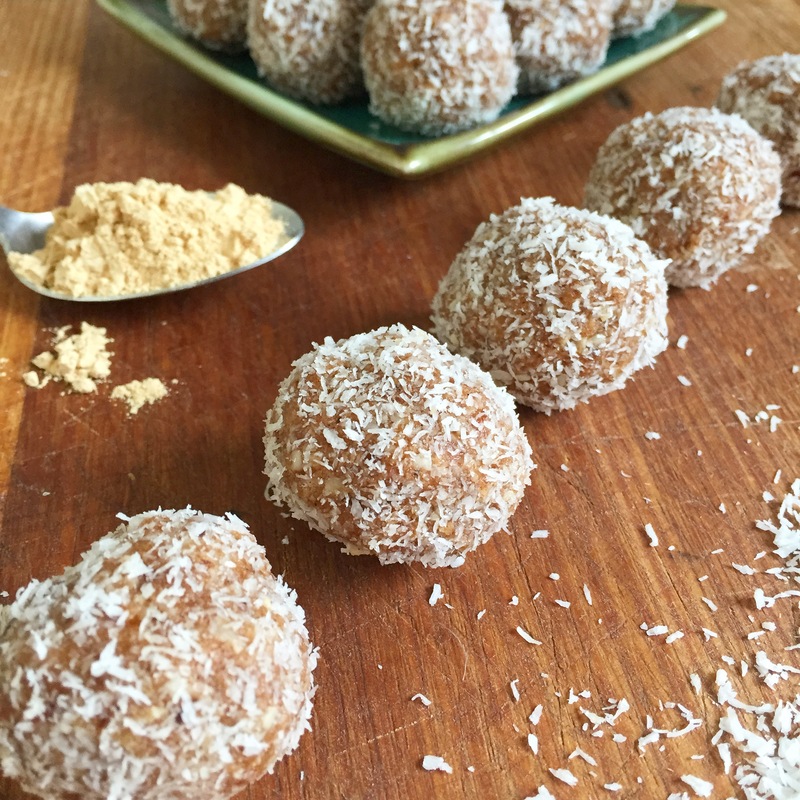 These gorgeous bliss-balls will help with that as they contain macadamias for some good fats and maca for that little energy kick. There is also some evidence to suggest that cinnamon may stabilise blood sugar but more studies need to be done to confirm that. At any rate it tastes delicious so I include it in lots of things. Place all ingredients into your blender then blend until the mixture is oily and sticks together but is still a little crumbly. Just pinch some between your fingers and make sure it sticks. If it’s too dry add another date or two, if it’s too wet add some more coconut.